A maxi-scooter that's really a motorbike, with the same engine and chassis as Honda's NC700S and NC700X. 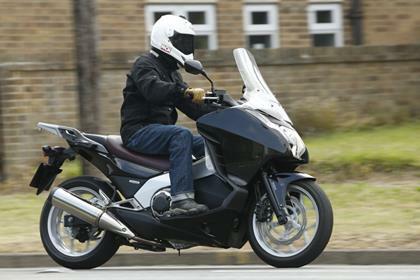 Although technically accomplished, the Integra has a utilitarian feel, like a motorcycle made for people who don't particularly like motorcycling. 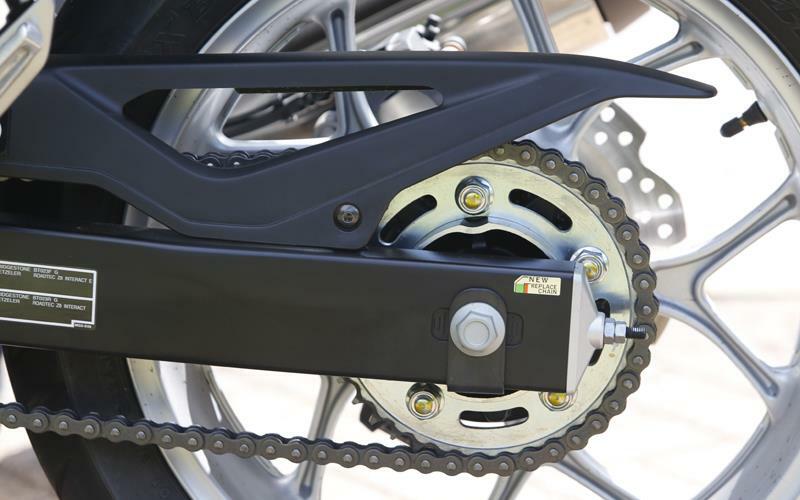 Without the lower centre-of-gravity or small wheels of most scooters, only the leg shields suggest you're not on motorcycle. The Integra's handling is better than its bland looks suggest but won't exactly have you throwing it into every corner. Try hard enough and the bodywork grounds first. As with the rest of the NC700 range, the Integra's gentle power curve contains zero surprises, except the redline, which is too easy to bump into at just over 6000rpm. Despite the uninspiring delivery, it will out-accelerate nearly all maxi scooters. It’s got two automatic modes – Drive and Sport – and a semi-automatic mode, where you change up and down using buttons on the left bar. Fuel economy is good, at 60.1mpg in MCN tests. Honda says it's DCT system meets its usual high standards of long-term reliability, and who are we to doubt them? The Integra hasn't exactly topped UK sales charts, meaning fewer owners to tell us about any problems. If any manufacturer deserves the benefit of the doubt, it's Honda. At £7699 as of August 2013, it convincingly undercuts the maxi-scooter competition. 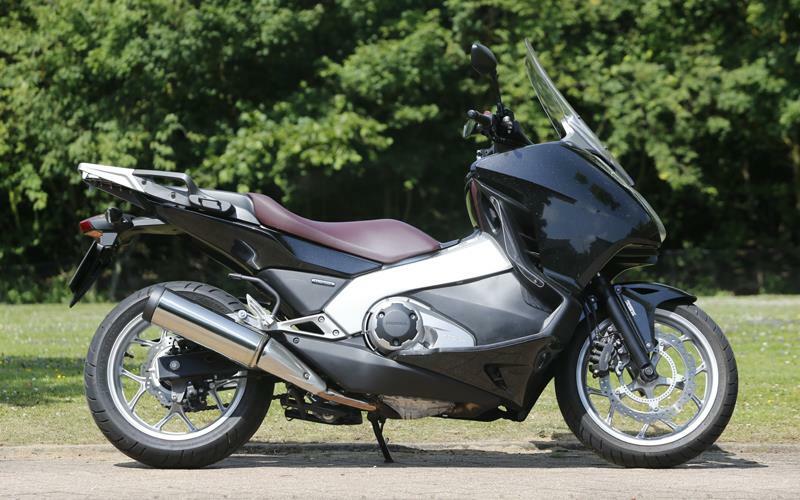 It's over £1000 less than Suzuki's Burgman and Yamaha's TMAX, and £2000 less than BMW's C650GT. Given its level of sophistication, it leaves you asking why the others cost so much. 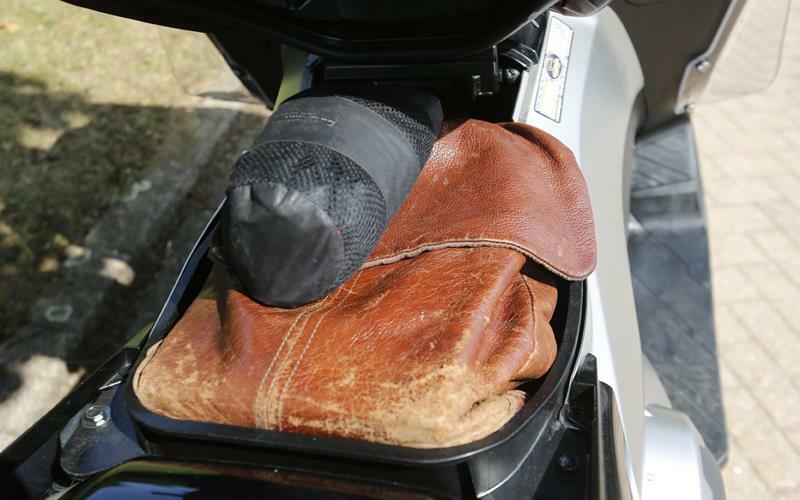 The Integra has the comfort and weather protection of a scooter but not the luggage capacity. There's one glove box, just about big enough for a phone. Because it has a motorcycle chassis, there's not the cavernous underseat compartment of scooters. The one you get is nowhere near big enough even for an open-face lid. Engine type Liquid-cooled eight-valve parallel twin, Dual Clutch Transmission, chain final drive. 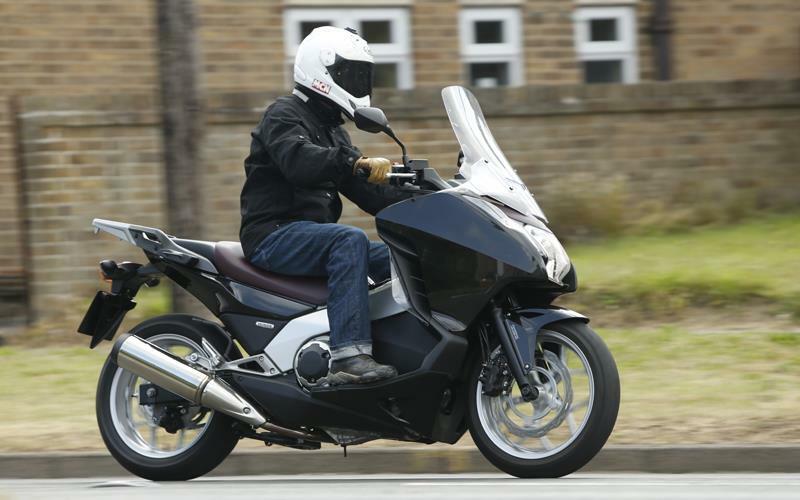 2 owners have reviewed their HONDA INTEGRA 700 (2012-2013) and rated it in a number of areas. Read what they have to say and what they like and dislike about the bike below. Set up with panniers and top box this makes an awsome and comfortable touring machine. Very comfortable, great weather protection and smooth power delivery. The Dual Clutch Transmission is simply first rate in all modes. Only slight niggle is the tank/storage space on the NC 700 S and X has been removed which is a bit odd, as it is far too tall for a step through anyway. This is a great all round bike. It soaks up the bumps easily and always keeps you stable and confident. 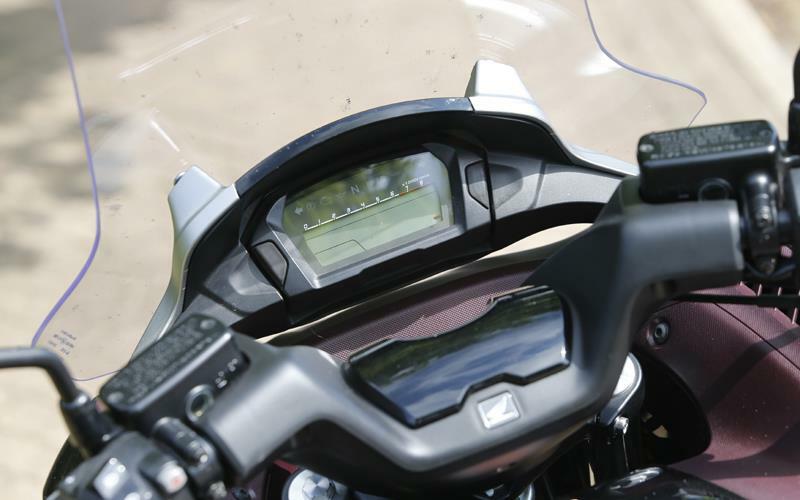 The rider could stay on between fills, but the pillion is more limited and would recommend limiting to 45-60 minutes between breaks. This engine is designed to do everything well with great economy. Power delivery is very smooth, whether easing it through traffic or pulling smartly away from the lights, and plenty of mid range torque for mid-range acceleration. The DCT makes it so easy to drop a gear or two and take off, which makes up for the overall lack of power. Bullet proof mechanically. Build quality excellent for a reasonable price. If you want to play two or three times more you can get better, but at a huge cost. Extremely good value for money new, and even better second hand. The claim of 80 mpg - is easily achievable without compromise on riding. Much much cheaper than a mid range Tourer or a Maxi Scoot. For this price you get a full flappy paddle dual clutch transmission, ABS and brake distribution, lots of weather protection and comfy ride. It might be nice to have some clever computer data or heated grips, but you can upgrade if you want to. Bought from t-Moto in Weston Super Mare - they seemed very straight and open. I have owned this bike since September 2012 and I can honestly say that I am very happy with it. I had a 2011 HRC Fireblade before this and also a Suzuki Burgman AN650 Executive, before the Burgman I had a Honda Deauville NT650(the Deauville and then the Burgman were bought for 40 miles commutes from Romford to Kent). I found that I was using the Burgman a lot more often than the blade, because it was so much more practical and comfortable to ride. Last year I decided to sell the Fireblade because I had only covered 500 miles on it and I had owned it for just over a year. I contacted my local dealer and negotiated and I was able to do a straight swap for the Integra, in the colour which I wanted, which was Candy Graceful Red. I decided on the Integra because it combines the comfort and protection of a scooter and the ride and handling of a motorcycle. I had a demo ride on a NC700X DCT, because none of my local dealers had an Integra demo bike available. I liked the NC700X, but I thought that it did not provide enough weather protection and the padding in the seat was a bit too firm. 1. The DCT in a word is excellent, I know that some people will argue and disagree, but I think that Honda should make DCT an option on all of their larger capacity bikes. 2. I disagree with MCN, the bike has plenty of torque and I know that off the line, this bike will keep up with most sportsbikes. Most people think that bhp is important, when it comes to acceleration, when in actual fact it is torque that matters when it comes to acceleration. BHP is for top speed, the more bhp, the higher top speed. 3. Top end speed is not everything and the top speed of this bike is more than enough for UK roads. The NC range are all built in Japan. I have owned mostly sportsbikes, ever since I passed my test in 2003. I have owned a CBR600F, CBR600RR7, CBR1000RR6 and CBR1000RRB HRC. before buying the CBR1000RRB, I tried out the then new crossplane crank Yamaha R1, but I decided that the bike was not good around town and you really needed to rev the bike a lot to get the power out of it. 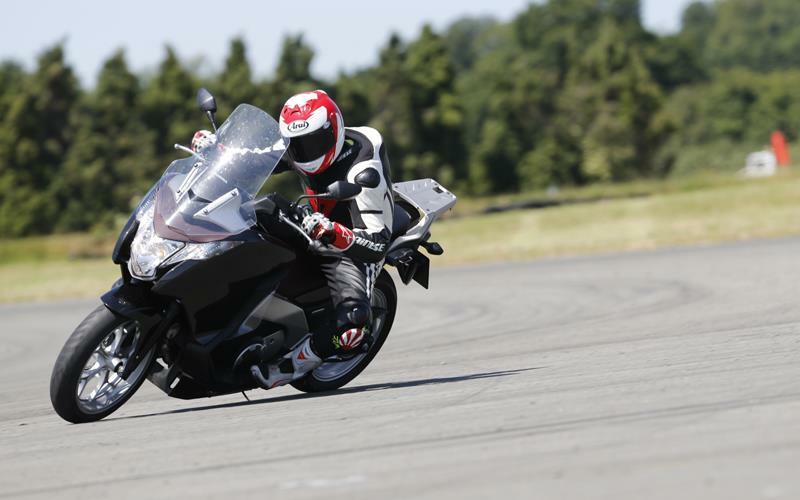 The CBR1000RR felt more powerful.